The Bar Stock Exchange has spread its wings and flown all the way to Thane, making it the 12th outlet in the city till date (Citizens of Thane, you finally have one to call your own!) Keeping up with its tradition, this BSE’s theme is a (s)treat to the eyes. It opens to the public tonight. 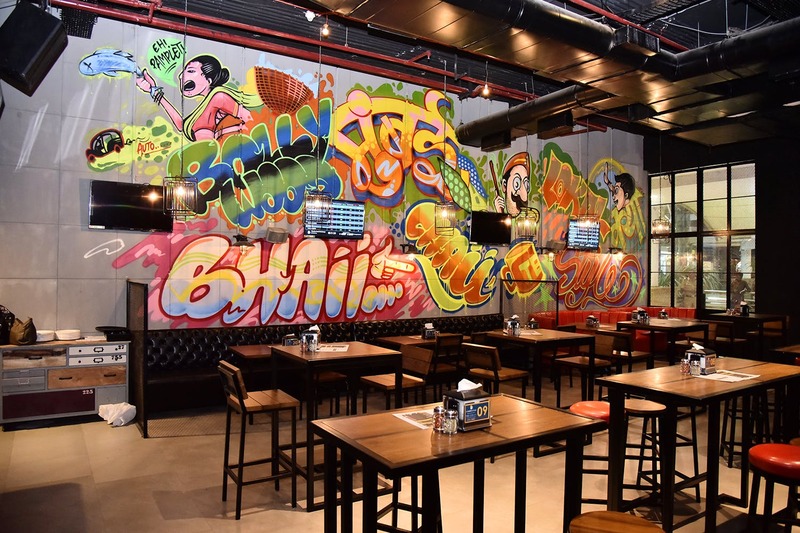 Themed around ‘Street Art’, this all-new Thane outlet has taken inspiration from street or cave art from ancient times to even earlier in the last century when professing love was via spray painting on walls. So, you’ll get to see graffiti-laden walls, desi characters, oodles of pop and colour and even the perfect backdrop for all your Instagram photography sessions. The outlet is huge, spread over 3,000 sq. feet and gives you enough and more reason to escape the grays of life through this splash of colour. Their menu stays the same, just like all the other outlets, with finger food and fusion cuisines to tempt your taste buds. Their signature move, playing stock market with alcohol prices, is also here to keep you company and not dig a hole in your pockets. Pretty sorted in every aspect, we think! Having been a part of most of our night scenes, we’re glad that Thane’s got its own outlet to experience the same joy we do. So, see you all there!